To most people, travelling in luxury seems like a very far-fetched dream. But the promise of privacy, beautiful views and special treatment doesn't have to be something that's completely unattainable. With a little bit of saving, you could be jetting off to the most exclusive villas in the world. 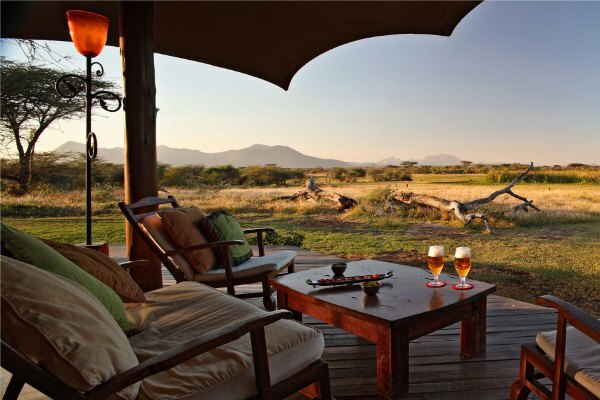 Or maybe a luxury safari is really what you're looking for? The promise of beauty, gourmet food and the most glamourous travelling experience should be enough motivation to get you up and working. 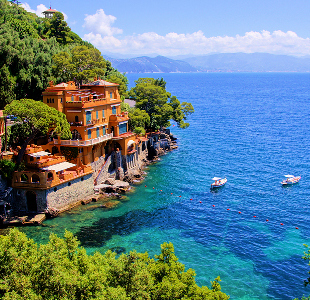 To get you started, we've got the Top 10 Luxury Travel Destinations. And if it's something you won't be able to experience, it doesn't hurt to dream now does it? Mexico is a delight for visitors, with a coastline that stretches more than 80 miles along the Caribbean and crystal clear waters that are home to hundreds of different marine species. It is filled with breathtaking landscapes and a vibrant, diverse culture rooted in pre-Columbian and European traditions and striking natural spectacles. 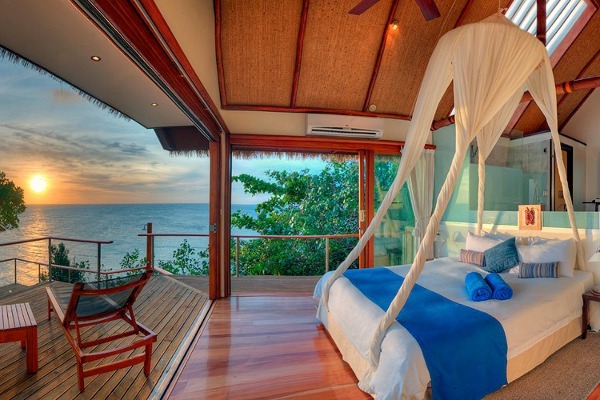 Las Ventanas al ParaÃ­so is a window to paradise. With a name like that you wouldn't expect anything less than luxury and a touch of glamour, which is exactly what you get. The carefully decorated suites and inspired cuisine makes this beach hideaway a sanctuary of renewal and revitalization. There is a lot to do in such a beautiful place, but the most luxurious of activities is no doubt hopping on your own yacht and sailing into the sunset with the deep blue waters at your feet. With Cabo Adventures, you will be able to enjoy the warm winds of Cabo whilst onboard their most luxurious yachts. Spend the day exploring the stunning coastline secluded coves and beachesand encounters with dolphins and whales. St Barths is synonymous with wealthy and well-known celebrities looking to get away from hordes of paparazzi for a private holiday. The wonderfully warm waters and glorious sparkling sand beaches perfectly complement the surrounding natural beauty of this tiny, yet charming island. 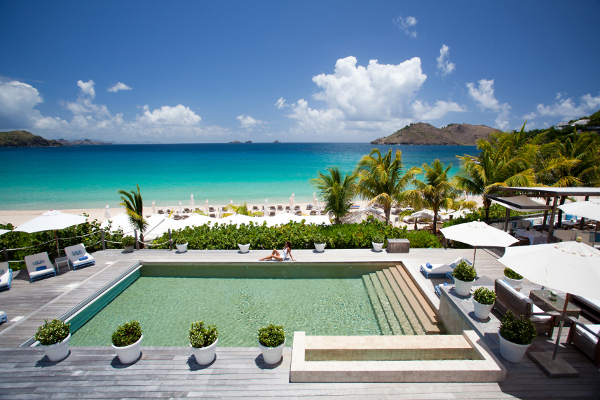 Isle de France is the islandâs most sought after hotel, offering world class rooms, views and services. A gentle blend of simplicity and elegance in the heart of the Caribbean makes Isle de France the ideal place to escape from reality and live like royalty for a few days. Explore the promenade along the front of the harbour where you will find the very best in high-end luxury boutiques and designer wear. Whether it's a custom Rolex, a swimsuit or a once-off designer piece, you will definitely find it in one of these extravagant stores. Monaco needs little introduction. It's a city known for opulence, luxury and wealth. But it also has a a revered culture and old money class. Known for beautiful people, glitz and glamour, casinos, and its famous Grand Prix, you really couldn't find a better place to relax and enjoy the luxury of natural and man-made luxury. With all of Monacoâs splendour, you would expect to find a hotel just as magnificent - and Hotel Metropole definitely delivers. The hotelâs architecture and decor are classic and timeless with a touch of contemporary allure. It has a warm Mediterranean spirit with an innovative and dynamic character offering the very best of personalised service to all its guests. Nothing says luxury like being behind the wheel of a fast sports car in the home of the F1 Grand Prix. Liven Up gives you the opportunity to explore Monaco and the Grand Prix circuit in a Ferrari, where you will drive on scenic roads with breathtaking views of Monaco. The stunningly white buildings and wonderfully blue waters in Greece are an absolute luxury in themselves. Greece's fascinating history - with tales of gods and goddesses, the original battles of the Olympic Games, and as one of the first countries to have a democratic government - is made even more appealing by the warm and friendly locals. They'll be ready to tell you everything there is to know about one of the oldest civilisations in the world. 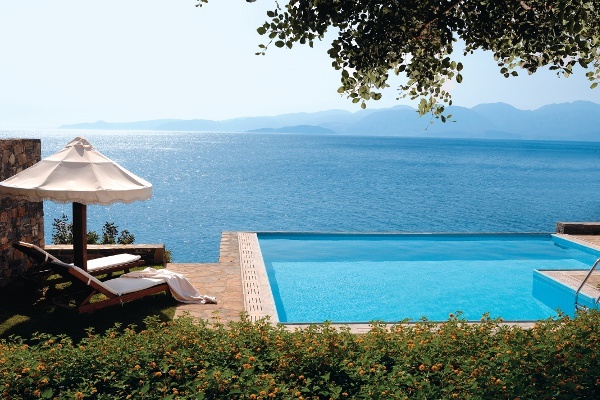 Elounda All Suite Hotel epitomises luxury island living. At Elounda's All Suite Hotel you are guaranteed an ultra exclusive stay, what with the best of their rooms having private access to the beach as well as private pools. 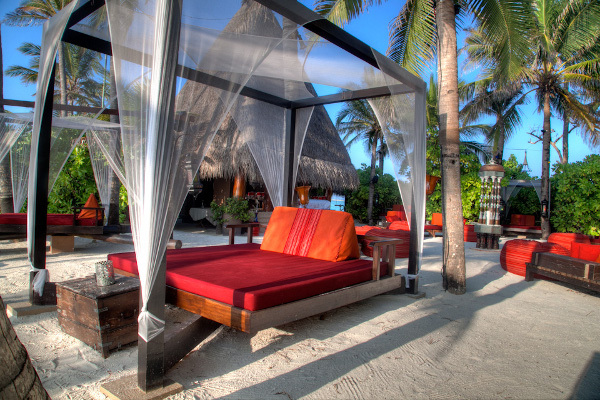 As a small boutique hotel all of their suites are private and secluded. Add to this great facilities like their own gorgeous spa, gourmet restaurant, wine cellar, seafront bar, and even a 50 seat cinema, and Iâm sure youâll agree a stay at Elounda All Suite Hotel is an experience you deserve. Blue Dolphin Diving Centre, the pioneers of diving in Crete, will make sure that you have a memorable diving experience while you're in Greece. The clear waters and ample marine life make their job a little easier, but it's their list of locations and helpful, experienced instructors that sets them apart from the rest. With Blue Dolphinâs efforts, Crete now has an abundance of fish life and other underwater species in an area that is the first natural protected resort for divers in Greece. There are very few things that scream 'luxury travel' as loud as a private island, where the footprints on the sand are all your own. The Seychelles, a melting pot of different traditions, promises to transport you to an island paradise miles away from any disturbances. In a place where there's more sun than rain and where the birds and island animals work with the the sea and mountains to create an unmatched atmosphere of peace and harmony, you'll find the Seychelles, a dream destination unlike any other. 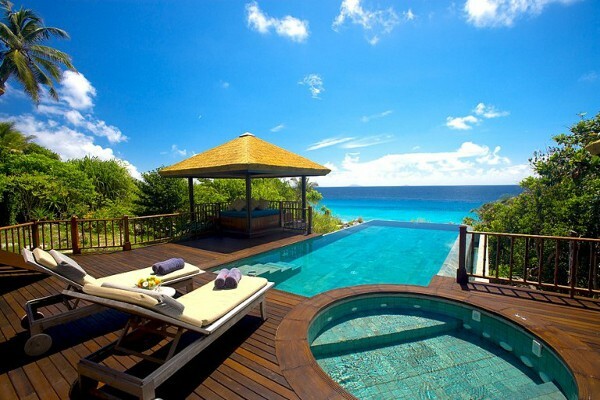 Fregate Island Private in the Seychelles is nestled right beside the coastline. If it's privacy you want then you've come to the right place; all suites have a luxurious terrace, private infinity pool and daybed, and dining pavillion overlooking the lush jungle and deep blue seas. Being on an island means there is a lot to explore, so why not take a nature walk with one of the resident conservationists? Here you can learn more about the island's ecosystem, observe some of the work the conservationists do and even help out by searching for tiny sea turtle hatchlings emerging from their nests or checking nest boxes for eggs or chicks. You can also make a valuable contribution to protecting and sustaining the island's flora and fauna with the Tortoise Adoption Programme. Not only will you be blown away by the clear coastline and lush green forests that make Zanzibar a tropical paradise, but you'll also get an insight into the history and culture of the African island. With a past teeming with stories of sultans, pirates and princesses, and a diverse and interesting local culture, your holiday in Zanzibar will be a welcoming and magical experience. 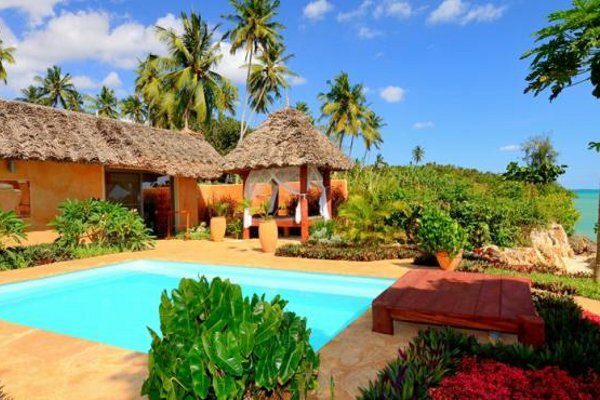 Villas at Baraza Resort are designed to characterise classic Swahili architecture. Dramatic arches and intricate hand carved cement decorations makes this resort completely unique. Rooms are spacious and complemented with beautiful fabrics, hand carved furniture and brass lanterns. As tempting as it is to stay in your beautifully decorated room, don't forget that you're in an outdoor paradise - venture out to the private pool or get a bird's eye view of the island from your very own terrace. Enjoy an authentic Zanzibar experience aboard a dhow with Safari Blue. Safari Blue dhows, which are sailing boats made from African Mahogany, are kept well maintained. The dhows are equipped with communication equipment, sunshade, boarding ladder, gas inflatable life jackets, and waterproof bags. All you need to do is to sit back and enjoy the relaxing ride along the coast of Zanzibar. 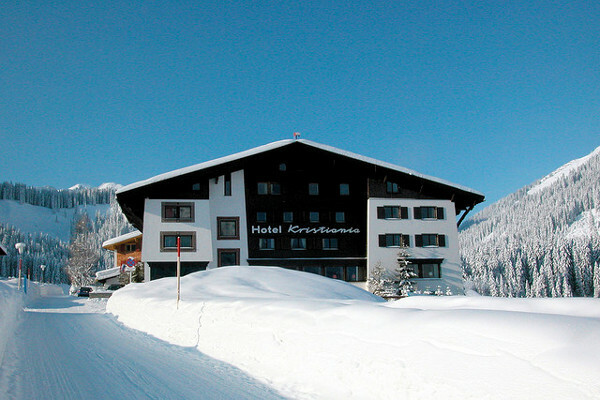 Snow-capped peaks, warm Austrian hospitality and lively aprÃ¨s-ski events will make your stay in Austria unforgettable. Their unique cultural heritage and distinctive imperial history add to the allure of a place filled with luxury villas lit up by crackling fire-places. The best time to go is when it's snowing, it adds that extra magical touch. You can keep warm by drinking delicious mugs of hot chocolate while looking out of the big, glass windows. Lech is one of Austria's most posh and pricey resort towns, so you can expect only the best stay at one of the town's best hotels, Kristiania Lech. Each room is individually decorated, from the rooms that focus on contemporary artwork, to the small, intimate rooms that uses nature as a theme, and my personal favourite, a Chinese style room that features an Oriental atmosphere. Who says you can't have Asia in Austria? Very few things epitomise exclusivity as well as uniquely decorated rooms. All the suites at Kristiania boast contemporary artworks and antiques that set new but exquisite standards of living linked to the traditional Alpine heritage. Go for an unforgettable horse-drawn ride through the wonderfully scenic winter landscape. The ride starts in Lech and goes to the village of Zug, where you can indulge in afternoon tea and deliciously decadent cakes. For an escape to an idyllic and unique destination you should venture to the Maldives. Set in the Indian Ocean you will enjoy superb sunshine, warm weather and an even warmer welcome from the locals. 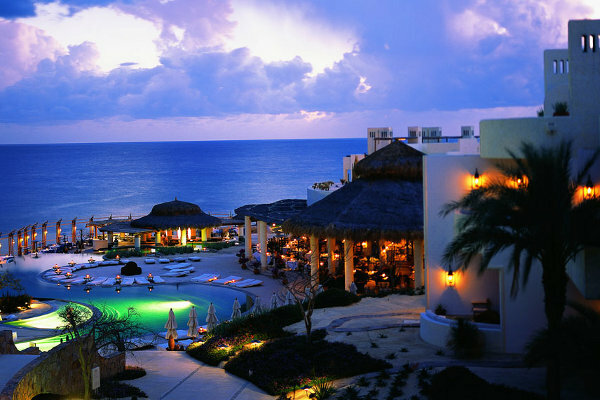 There's nowhere better for gourmet dining, pampering spas and outstanding hospitality. Reethi Rah Resort in the Maldives lies among a string of corals,lagoons and white sands, so you can just imagine how breathtaking the views are. With a promise of warm hospitality, privacy and a magical time on the island, you are sure to fall in love with the Maldives. Reethi Rah's villas are on the beach, secluded by lush tropical greenery, whilst others are set above the clear, protected waters of the lagoon all designed in an elegant, contemporary style. Maldives has a number of islands that you can explore. Venturing out to these tucked away land masses is the perfect way to get a taste of the culture. Island hopping allows you to take in all the different aspects of the Maldives, whether its visiting an inhabited island and watching the locals making boats, arts and crafts or going to an uninhabited island and exploring the untouched beauty. For breathtaking views across the turquoise waters of the Maldives and to get an aerial view of the different islands you can charter a seaplane. Good luck with that - it does take a little skill. From the wide grasslands of the Masai Mara to the majestic wildlife that roams within it, there is no place like Kenya. And although a safari might not be the first thing that comes to mind when you think of luxury travel, Kenya's offerings rival some of the best and most expensive destinations. From its pristine white-sand coastline and rich cultural background to top class resorts and impeccable service, the northern African country is the ideal destination for a luxury holiday. Accommodation at Loisaba is luxurious and authentically African. You will be pampered and well looked after while experiencing the atmosphere and energy of wild Africa. If you want a really unique wildlife experience, how does a night under the Kenyan stars sound? With Loisabaâs Star Beds you are treated to a slumber under the undisturbed African sky with only a blanket of stars above you. Hot Air Safari gives you the unique chance to experience Africaâs wildlife from above the ground in one of their fleet of five hot air balloons. The balloon flights take place in Kenyaâs Masai Mara National Reserve. You can choose from group flights or private flights over the Mara. The reserve is in the northernmost part of the spectacular Serengeti-Mara ecosystem, home to scores of wildlife such as elephants, giraffes, various antelope species and ostriches. Other wildlife which you might get a chance of spotting include hyenas, lions, cheetahs, crocodiles and hippos. As this is a wilderness area with free-ranging wildlife that is not fenced in, seeing these animals in their natural habitat is a matter of luck and going at the right time. Fiji is an area proud to promote eco-tourism and the Fijian people cultivate a wholesome, proactive attitude as a means to protect the island's natural beauty. You don't often find luxury travel that is conscious about the environment, but Fiji manages to combine the two, which in turn provides tourists with the opportunity to see crystal lagoons, idyllic waterfalls, lush rainforests, and vibrant coral reefs. Just a few guests can be accommodated at Royal Davui, so be prepared for an exceptionally exclusive experience from the moment you arrive. Youâll be treated to the warmth and hospitality of the Fijian people, something that will make your stay even more memorable. Royal Davui use purely Fijian products in the bathrooms and spa as well as 90% locally grown produce. They limit the amount of waste that they produce and ensure any waste that is created is disposed of in a careful and responsible manner. This is ideal for environmentally conscious tourists who enjoy luxury travel as you'll be free to enjoy your stay knowing that you are doing your part for the environment. Granted, being strapped in a harness does not sound like the epitome of luxury, but it's all worth it when you are zigzagging across the breathtaking Wainadoi River. While experiencing that rush of adrenalin (and a little bit of fear), be sure to take in the sights of flora and fuana and wilderness from a rather fast-paced, aerial perspective. With Fijiâs Finest Toursâ highly-trained guides you will be securely strapped in and shown how to use the special equipment and techniques; there's no need to worry about safety, just enjoy the ride.